This product is geared toward motivating students to read more nonfiction and to try subjects they wouldn't normally chose from the library. 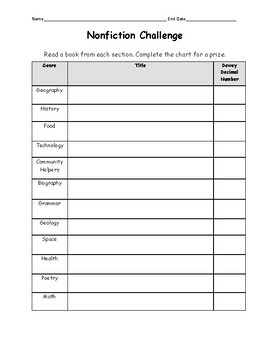 Use as a Dewey challenge or a reading challenge. Enjoy!